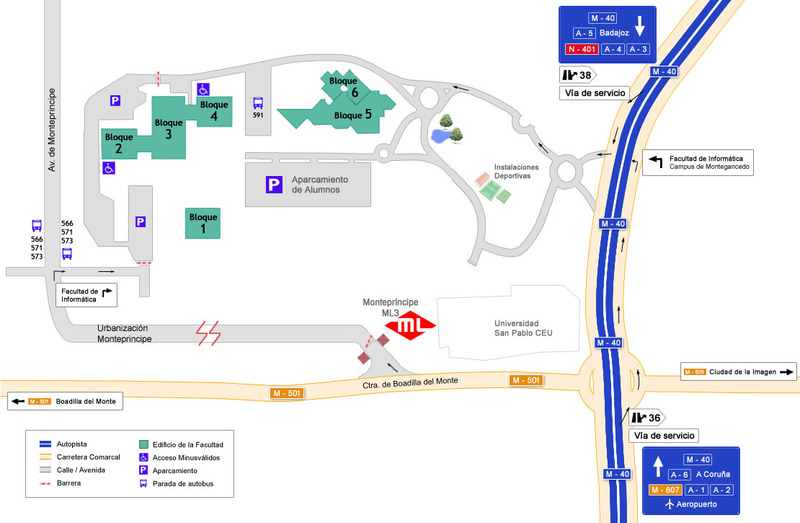 The bus #591 starts from Aluche (departure times below), makes a stop at Colonia Jardín and continues to the CS School campus (last stop). A single ticket costs 1.60 from the driver. The trip takes ~15 minutes. The meeting will take place in Bloque 1.